These seven vibrant eye-popping liquid eyeliners come with a fine precision brush that delivers perfect, razor-sharp application every time. Trust me, it's true... whether you are a pro or a newbie, you will feel the difference instantly -- it's so easy, it's fool-proof! The formula dries within a few seconds resulting in long-lasting, smudge-resistant wear. Lunar Sea (pure white) -- pure, matte, white. Perfect for the inner corners and/or accent highlights. I can't wait to use this one for my zebra inspired look!! Citreuse (bright, nearly neon chartreuse) -- perfect description and name. I couldn't have said it better myself. This is my favorite of the colors, it works so well with tan complexions... #obsessed!! Quill (glossy black) -- I don't know if it's the darkest black you'll ever experience, but it's pretty darn close. If you're looking for a great shiny black liquid liner, look no further! 6th Element (bright orange) -- described as a 'Fanta' orange and I'd have to agree wholeheartedly. Side note: this is the only shade that required two coats for fully opaque coverage. Blue Milk (pale sky blue) -- beautiful, angelic milky sky blue. Another fave, this color is simply divine! Wear it alone or double up with Quill for a more wearable look. Orchidaceous (violet-purple) -- although this is described as bright, I'd say it's the most wearable and subdued color out of the seven. This eyeliner would probably appear more vibrant on someone with a lighter or much darker skin tone than mine. Nonetheless, I love it and it is absolutely gorgeous! Orchidaceous on the outer lower lash line and lash "extensions"
Quill on the brows and lash "extensions"
So... which color is your FAVE?? 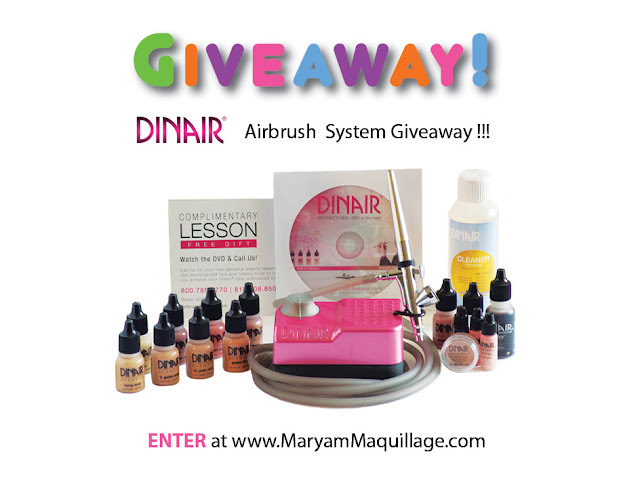 P. S. Have you entered my DINAIR giveaway?? so pretty! They're all so pigmented. you're so cute :)) thanks love!! I like it! I love bold colours :) The lines are so crisp, as you say they must be foolproof! You're so creative! The picture of your eye with all the colours is so artistic. It looks like a painting. Love it! thank you Sal :)) I love the bright blue one too!! oh. my. god. This is amazing! You are so talented, I wish I could bottle some of it up and drink it! You're making me change my opinion on lime crime (I don't think very highly of them currently). >< I love all the colours but the little details in the lower lash line and brow definitely are my favourite. I love your colourful looks!! I'm so happy to hear/read that!! 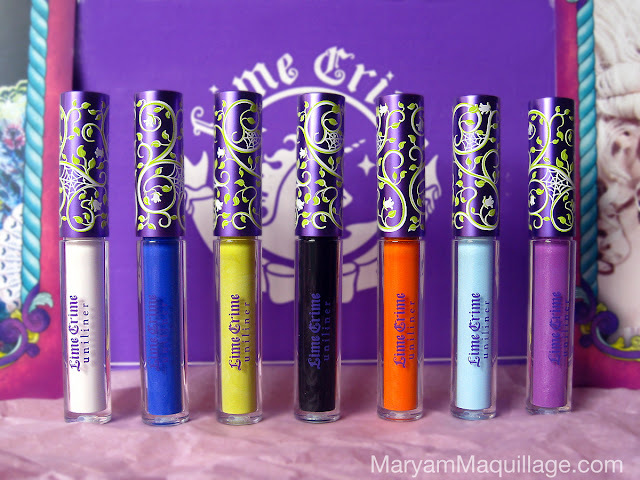 Give Lime Crime a chance, it really is a wonderful company with amaaaazing products!!! 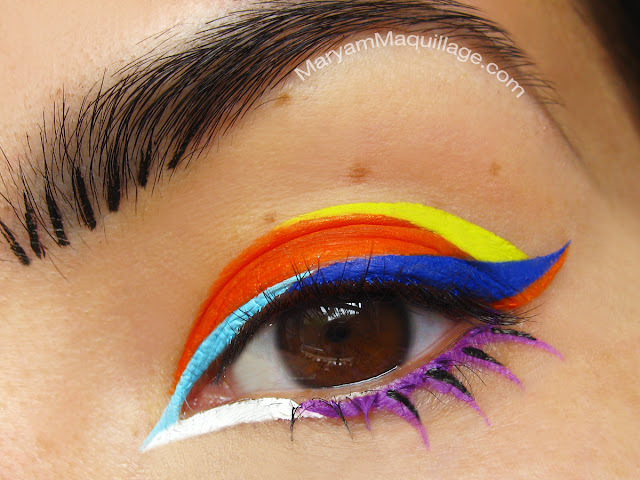 I love this look you created to showcase all the colors! You are so talented! I can't wait to tyr the liners out. I love Lime Crime!! Heart you!! This is amazing! I wish I knew how to do makeup. WOWOWOWOWOWOWOWOWOW!!! How many things can I say WOW? This is amazing! Whoaaa, that's so amazing!! Gurl, you're GOOD. such bright and pretty colors!! You have such an amazing talent wow Im speechless!!! Love this look! It's so awesome & different. Ohhhhh cute... I love the make up wooooohhhhh you are wonderful doll <3 Ican't partecipate of your give way because I'm italian right? Oh my god girl! U rock, that`s gorgeous! This is so beautiful, don't know when I would dare to do my make-up like that, but I think that I will try it some day. HOW insanely creative is this!!!! Janine, you are so right about the orange -- it is so versatile and wearable!! I wore it the other day with black (Quill) and I got soooo many compliments, I couldn't believe it. It's really bright, but also very fresh at the same time. Totally an awesome product! omg.. this is...this is.. very beautiful.. woooow :D love it. I LOVE when we get a taste of your artistic side! Those lines are ridiculously PERFECT! I'm glad those liners work so well, I just put in an order (: Stay fierce love! GAHHH this is so amazing! LOVE it! great colors & as everyone stated above, very pigmented. Love it!! I really like the white and sky blue, but I don't feel that I can buy them after the hit and miss quality of the other Lime Crime products I've purchased. Not to mention that I'd rather not support For as she does many things I strongly disagree with. such a cool origami type look of colors! Wow that looks incredible! It's like a work of art! OMG! Mama Drama you're a genius! I can put words on how much I adore this one! Gaah, I could stare at it forever! This truly is one of your master pieces. Whenever I stop by here I'm always filled with tons of inspiration when I leave! You're amazing! Might have to try this one out myself! Have a wonderful weekend, Maryan! This is an extremely bold look I love it ! I'm always impressed by LC products. I don't buy them on principle but that doesn't mean I can't appreciate them or the amaaaaaaazing things talented girls like you can do with them! Brushes with precision lines or not, you still have insanely impeccable talent when it comes to eye make up lovely - your talent is un paralleled to anyone Ive met. So creative and inspiring. Love it. This is amazing, really like it! Great review, I didn't know they released these! Such a creative look, I like what you've done with your eyebrows! Colorful !!! Like this make-up. the colours are really vibrant; very beautiful! really bold and interesting look. i love how unique and well done this look is! thanks so much for sharing. oh this make up is so beautiful!